Shelly Demeree is a talented young woman who attendes our Melbourne Special Gathering. She is a writer and some of her work can be found on Specialgatheringstories weblog. She has her own page on this blog. I also hope you’ll go to read one of her poems I entered as a post on the main blog for today. Central Theme: Jesus helped the people by teaching them in small groups and large crowds. Introduction—Tell of a small group of people that you teach or you have taught. Say, I like teaching small groups. There is an intimacy that grows from a small group. Jesus also like teaching a small group. He took his disciples aside and taught them. But there is great value in teaching to large groups also. I. Jesus taught his greatest sermon to a large group of people. A. Have a member read Luke 6:12 and 17. 1. Jesus was beginning his ministry but there were crowds that were around him. 2. He took his disciples to a mountain top to pray. 3. When they came down, there was a large crowd of people who was there. 4. Jesus knew there was value in large crowds and small groups. II. Tell of a time that your group was with a large group. Perhaps a church retreat. 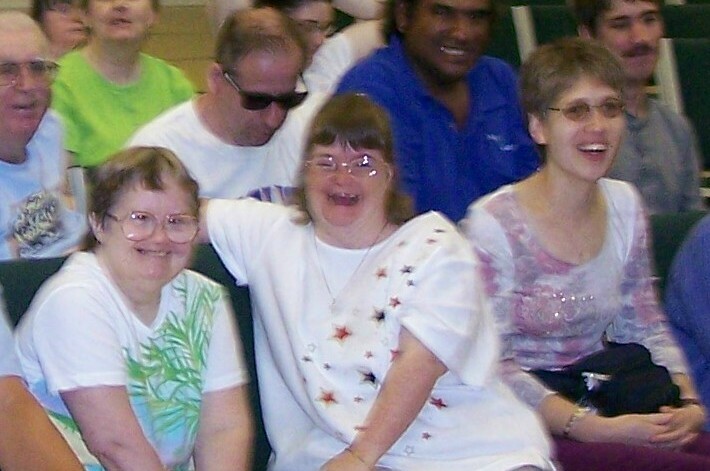 We had Camp Agape with 250 people one year. A. The worship was great. B. But sometimes a group can be too large. III. Explain why you do a specific small group event. B. But we have the joy of getting to know people better. C. We are able to talk to people and touch you. Conclusion–Jesus did his best teaching with a big group of people. But he was able to change lives because he was willing to spend time with them as a small group.